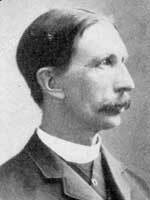 Born at Garafraxa, Wellington County, Ontario on 12 January 1842, son of David and Elizabeth Henderson, he was educated at Helmuth College (London, Ontario). In 1869, he began working as broker’s clerk, serving with the Merchants Bank from 1875 to 1876, and the Grand Trunk Railway from 1877 to 1880. He came to Winnipeg in 1880 in the service of the Canadian Pacific Railway, until he opened his owned chartered accountancy business in 1882. He was a Member of the Council of the Dominion Association of Chartered Accountants starting in 1909, and was a founder and Secretary of the Chartered Accountants’ Association of Manitoba starting in 1886. In 1880, he married Mary Stewart of Amherst, Nova Scotia. His recreations included snowshoeing and amateur mechanics. He was an Independent Conservative and an Anglican. In 1911, he lived at 218 Furby Street, Winnipeg. He died at his Winnipeg home, 835 St. Mary’s Road, on 14 July 1930 and was buried in St. John’s Cemetery. The bulk of his estate was donated to the Winnipeg Foundation. Obituary, Manitoba Free Press, 15 July 1930, page 17. Minute Book No. 1 (1921-1943), page 49, Winnipeg Foundation.